to foster a greater understanding of plant and animal relationships in the environment in order to promote the conservation and restoration of natural habitats. Located within Faust Park in St. Louis County, this facility provides the chance to witness butterflies in two habitats, one tropical and one native. More than a thousand live tropical butterflies fly freely in the glass conservatory at the Butterfly House. In 2007, the Butterfly House was recognized by El Bosque Nuevo for providing funding, through purchases of pupae from their sustainable butterfly farming operation in Costa Rica, to purchase more than 16 acres of land for the protected reserve. Also in 2007, the Butterfly House renovated the historic Faust family greenhouse structure to supply a significant portion of animal food needs, especially nectar for the butterflies. 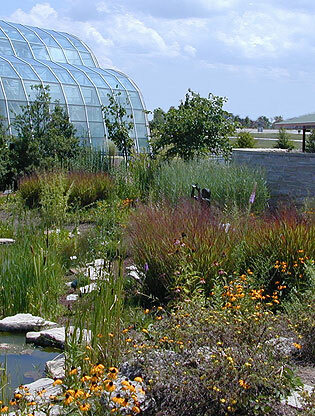 In June 2000, the Butterfly House opened the Butterfly Garden, featuring nectar sources and host plants to attract both native and migratory butterflies. The Butterfly Garden has earned certification as a National Wildlife Federation Schoolyard Teaching Habitat. The Butterfly House also provides instruction on and resources for butterfly gardening to create additional habitat for native butterflies. In 2002, the Butterfly House began participating with the Butterfly Conservation Initiative (BFCI) which is dedicated to the conservation of threatened, endangered and vulnerable North American butterflies and the habitats that sustain them.